Backup means to recover something, every website and blog needs a backup because sometimes unexpected things happens. Like other platforms blogger also lets you to create backup . 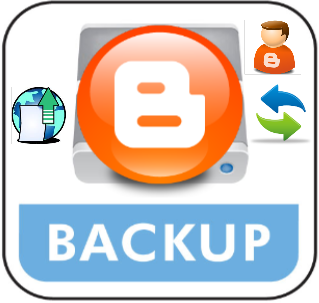 In blogger you can create two types of backups one is of template which will keep backup of all changes in template of your blog while other will keep data of each post of your blog either it is old, new, published or is in draft. Why do you need a backup? the answer is because if some unexpected event goes then you could recover your posts. First of all go to blogger and log-in to your blogger account. Open your blog, click on settings and select other. Now search for blog tools on the settings page. Blog tools show three options one is import blog, second is export blog and third is delete blog click on export blog here. 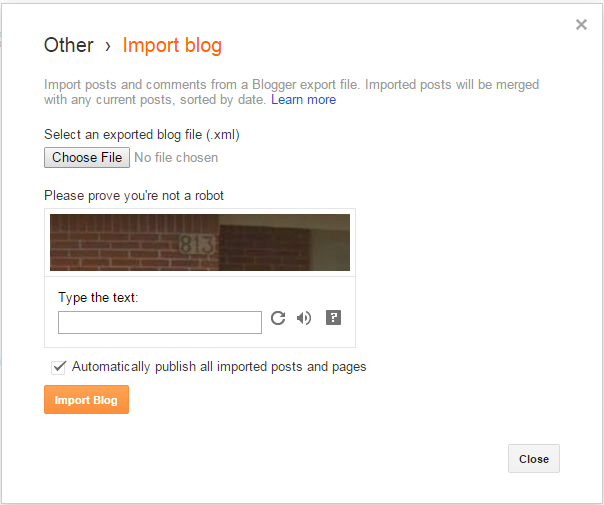 When you click on export blog a small window will be opened, now click on Download blog and you are done. The file shown in above image is backup file having XML format, now another thing comes that is how to backup posts using this XML file. Its very easy, all you have to do is to follow all above steps except step number 5. Instead of step 5 click on import blog, choose the XML file which you downloaded, solve the captcha, below it check Automatically publish all imported posts and pages if you want to publish all posts or uncheck it if you want to publish each post on your own and click on import blog. Hope you like this post and it was helpful to you. Follow by E-mail to get latest news about blogging tutorials in your inbox. If you like this post share it with others. Search Tags: How to backup deleted posts in blogger, how to create backup in blogger, how to backup deleted pages, how to create backup in blogger tutorial, how to export blog to other blog, how to import blog, how to create backup in blogger, 101Helper blogging tutorials, beginner to blogging.